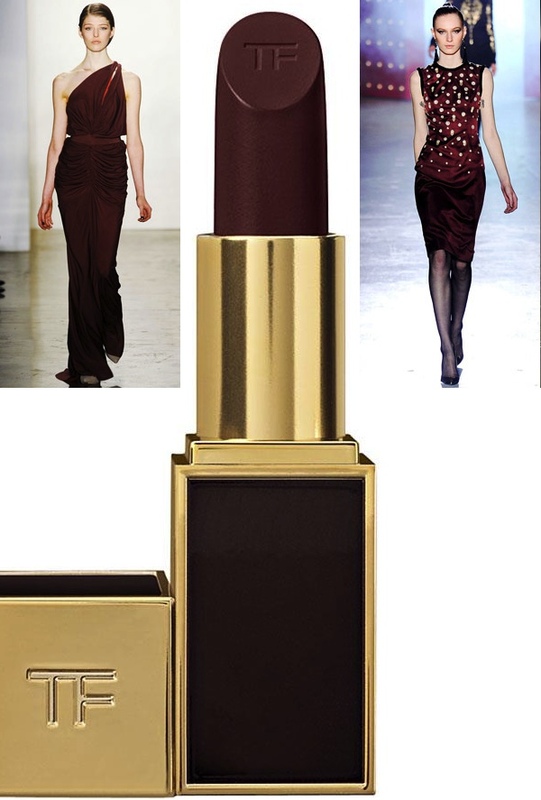 Oxblood- Dark Red Lipstick is the hottest new fall makeup fashion trend! I first loved this dark red shade at the Chanel Haute Couture Fall fashion show which was literally only about red; specifically the deep, oxblood color hues, in 2010. 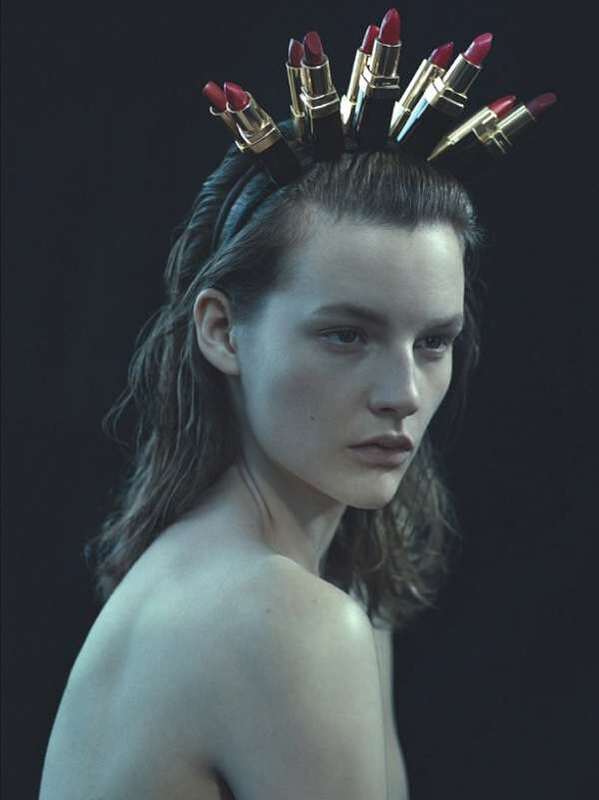 However, it is this year that the coolest party makeup demands using this shade of dark red lipstick. 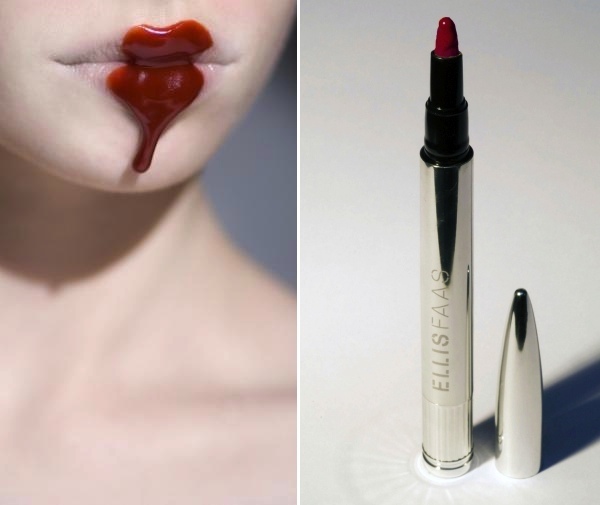 It’s definitely the “it” shade when it comes to lips and I have the best tips and inspiring images on how to wear it. 1. If you have thin lips, a dark lipstick could make them appear even smaller. So start with a sheer stain and use a lip pencil to fill out the lip ever so slightly. 2. If you have thin lips, you can also dab a lighter colored lipstick on the center of your mouth to make lips appear fuller. 3. The key to wearing oxblood lip is to keep the rest of the face fresh and glowing. Use a sheer foundation and concealer and apply a blush in a complementary shade. 4. Dipping a Q-tip into a little loose powder and then running it along the edges of the lips. 5. To avoid the red-on-the-teeth look there is the old trick of sticking a finger in your mouth, then slowly pulling it out to get rid of any excess color. Believe me it works! I’m obsessed with this kind of lipstick color! 🙂 Thank you for your comment! I love this look, yet am always hesitant to try it due to fear of it looking messed up at some point in the night. Great tips you shared! True… you need to apply it again at some point! Thanks for the comment! I will visit right now!